Invisalign aligners are made of a clear, thermoplastic material that was developed specifically for the Invisalign process. At the beginning of your treatment, you will receive a series of these aligners that will have been custom-made to fit your teeth as they move during each two-week phase of your treatment. How exactly do the aligners move teeth? For the duration of your treatment, the Invisalign aligners will move your teeth in tiny increments, until the desired positioning is achieved. Each set of aligners is carefully calibrated to continue the adjustment work completed by the set before it. The aligners move your teeth by applying controlled pressure to them. They control the timing by which the pressure is applied, so that during each stage of your treatment process, only certain teeth move. This process will be mapped out in its entirety by your dentist before your treatment begins, based on the specific way your teeth need to be straightened. 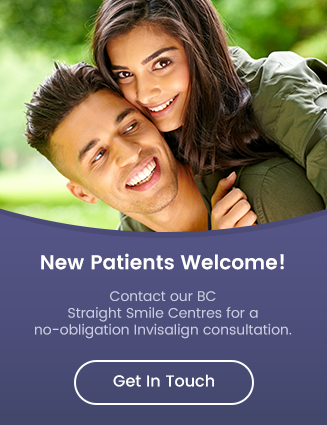 For more information about how Invisalign can straighten your smile, get in touch with a Straight Smile Centres member practice near you!